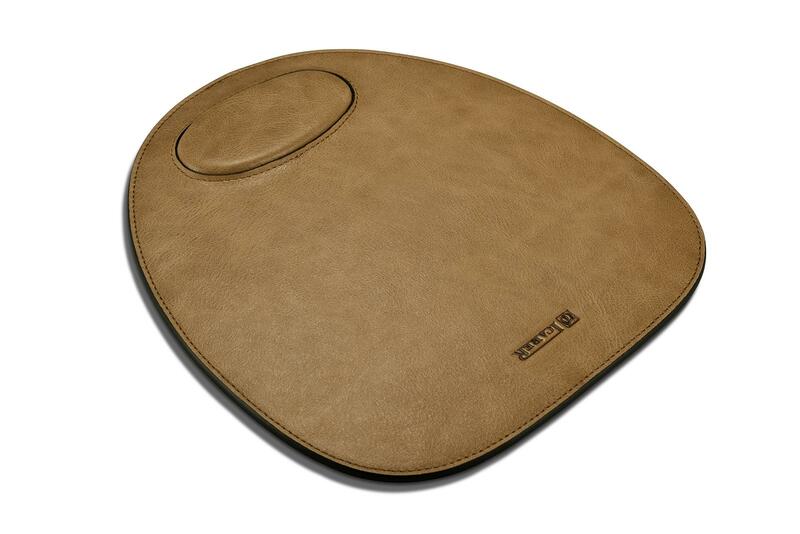 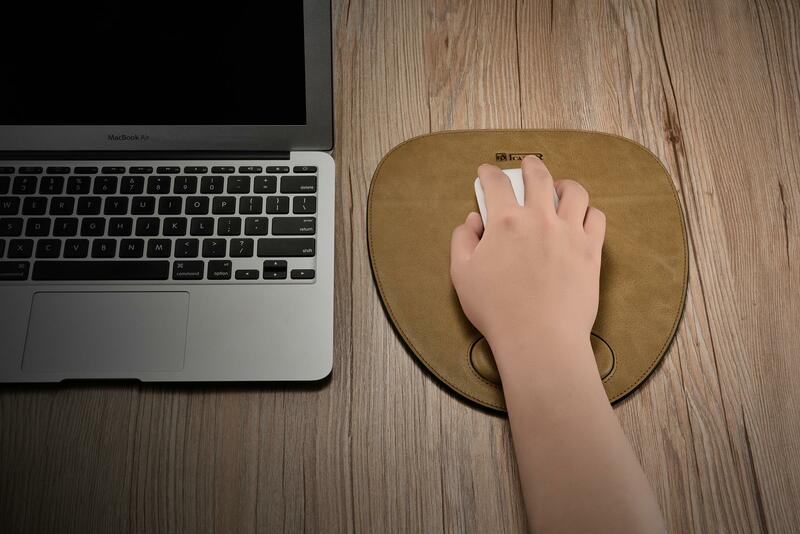 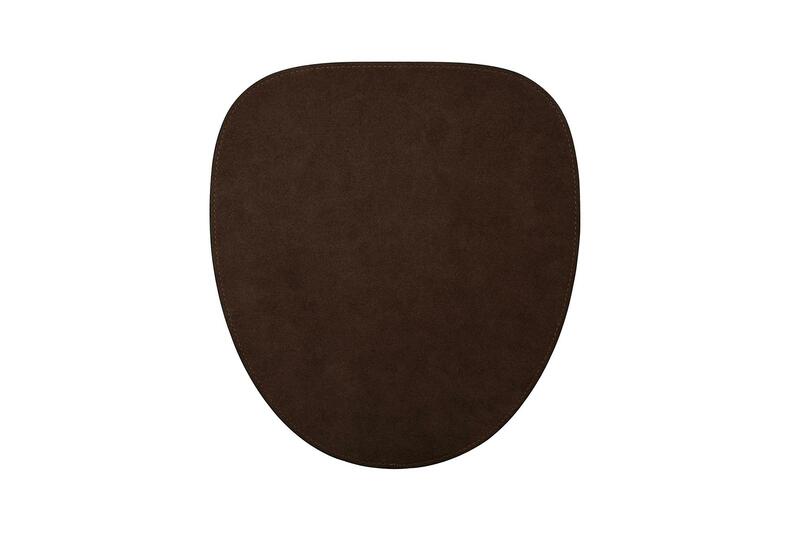 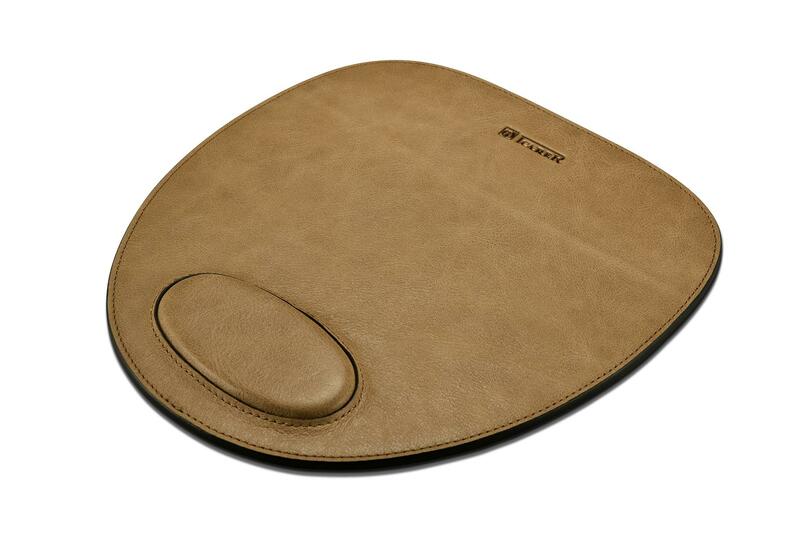 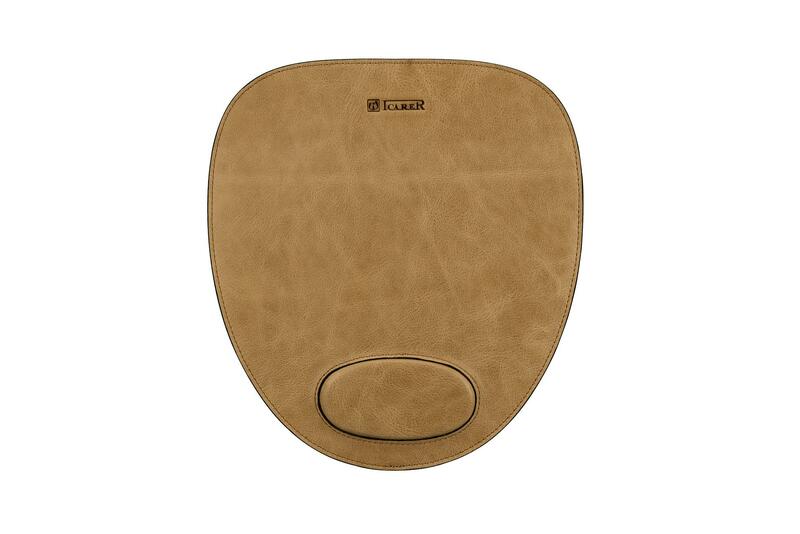 iCarer Shenzhou Real Leather Mouse Pad is made of premium quality shenzhou series genuine cowhide leather, brown color is available. 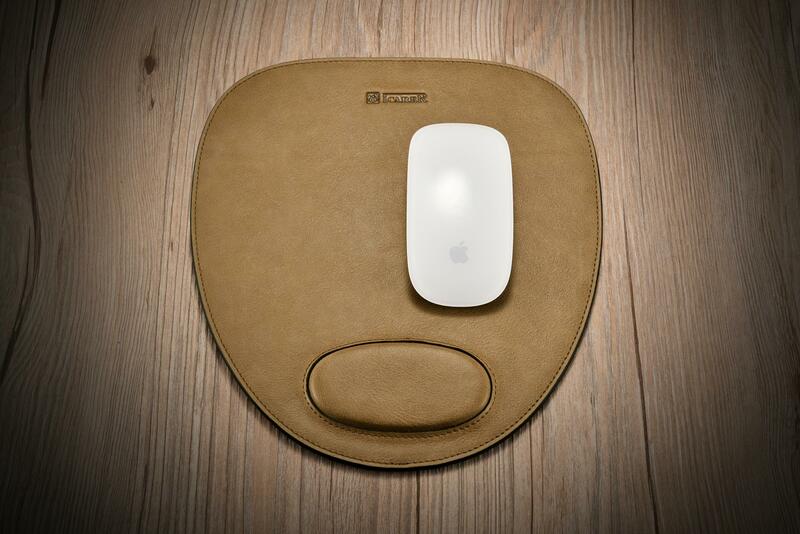 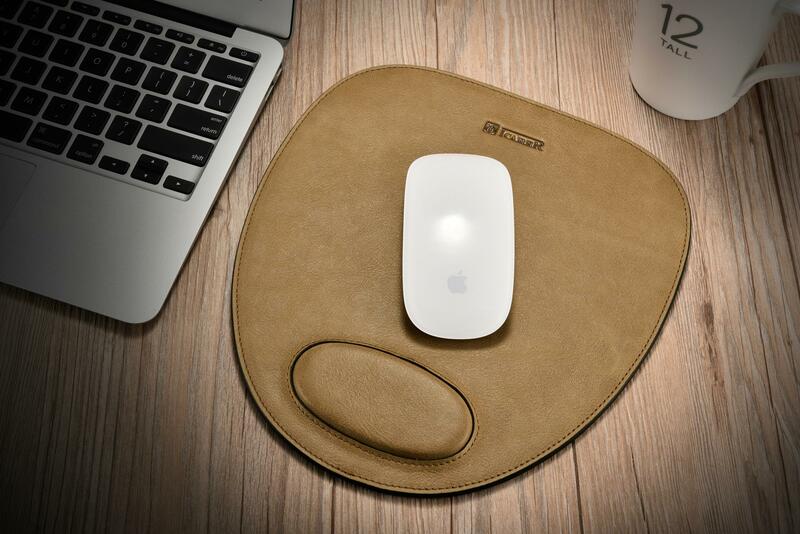 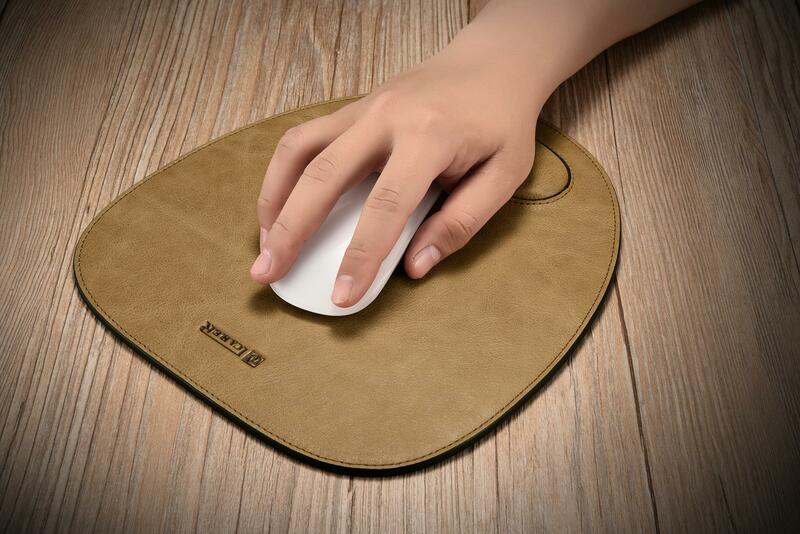 Glossy real leather cushion makes the mouse move more freely. 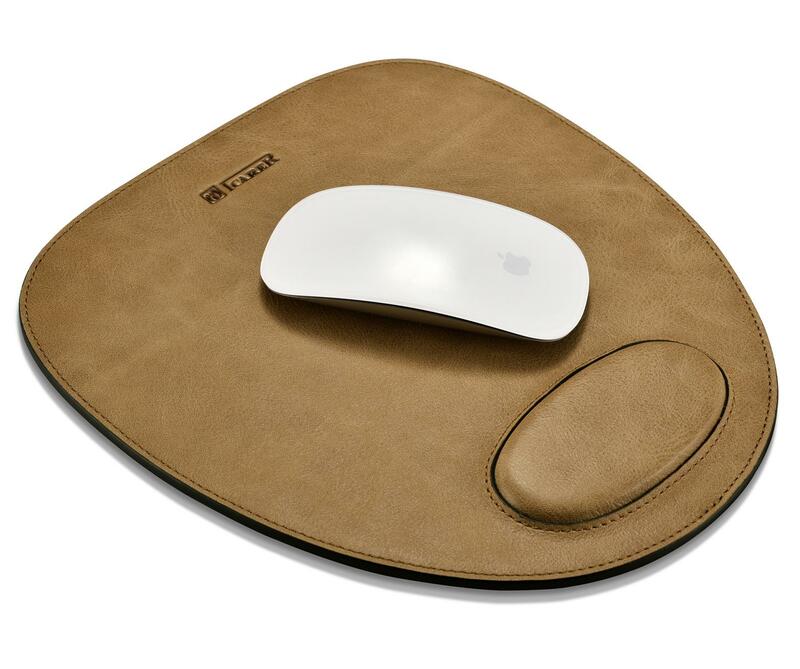 Ergonomic design, large using area; wrist pad design greatly protect your wrist, Dedicate stitching finish makes the mouse mat more durable. 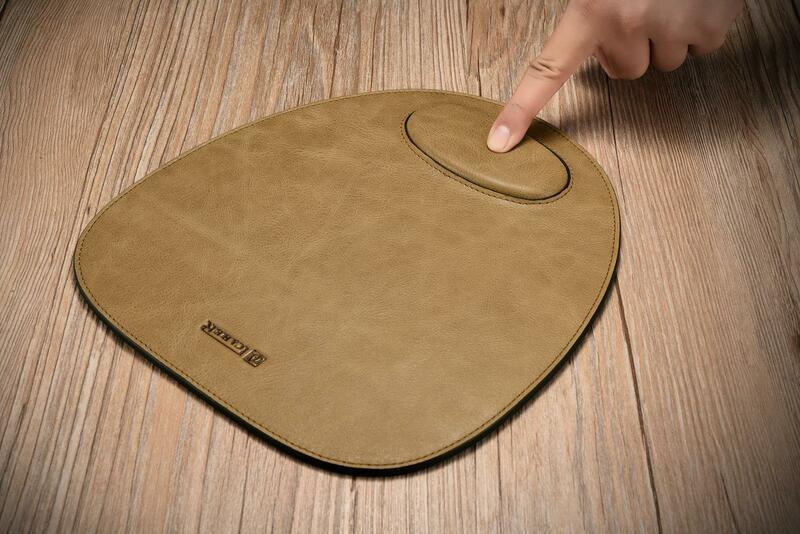 No-slip microfiber undersurface firmly grips the desktop.